Driving on sand is different to driving on hard surfaces. You will need a 4WD vehicle. Be alert and familiar with sand-driving techniques, and only travel at low tide times, stay on harder sand, do not drive or park in the water or the dunes, and slow down for other beach users and wildlife. 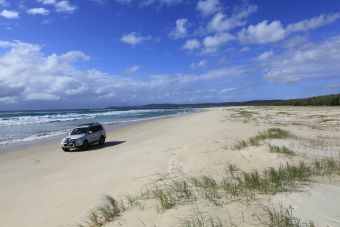 Beach driving rules are the same as when driving on a public road. Local Council Law Officers patrol the beach and are delegated with authority to enforce the law, and to cancel or suspend permits if permit conditions are not adhered to. Queensland Police also conduct regular speed checks and random breath testing on the beaches. Download our latest 4WDriving Brochure for detailed information.